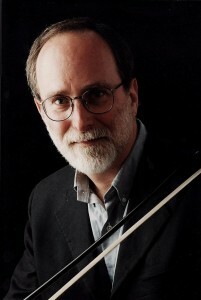 Andrew Ackerman has played with Concentus Musicus Wien since 1980 and is presently principal bassist there. He has collaborated with Freiburger Barockorchester, The Orchestra of the 18th Century, Concert des Nations, Balthasar Neumann Ensemble, Anima Aeterna, The Bach Consort, Mosaique Quartet, and Armonico Tributo. From 1980-1992 he was a member of the Wiener Symphoniker and currently plays regularly with the Chamber Orchestra of Europe. He taught Double Bass, Violone and Chamber Music at the Vienna Conservatory Private University from 1984-2010 and currently teaches the same subjects at the Escola Superior de Musica de Catalunya in Barcelona.